Indications: Relax airways, improve breathing and decrease wheezing in asthma patients or patients with other medical conditions. Can be prescribed to premature infants to reduce difficulty breathing. Summary Recommendations: Theophylline relaxes the lungs to improve breathing. The drug is used in adult and infant populations. Typically, the drug is prescribed to asthma patients, but it can also be used in premature infants experiencing difficulty breathing. General Precautions: Theophylline is prescribed for breathing problems and should be used as prescribed until the doctor changes your medication. There are birth defects associated with theophylline in animal studies. If you find out you’re pregnant while taking this medication, tell your doctor immediately. Some of the birth defects occurred in early development, so it may not be appropriate to wait for a long period before talking with the doctor. Effect While Trying to Conceive: In animal studies, fertility was impaired as evidenced by smaller litters, reduced number of live births per litter and number of total litters born to a mating pair. If you are taking theophylline, tell your fertility specialist before starting fertility treatments. Effects on Pregnancy: There have been numerous animal studies on the impact of theophylline on the developing fetus. Birth defects did present in several of these studies. Among the reported birth defects were cleft palate and digital abnormalities. 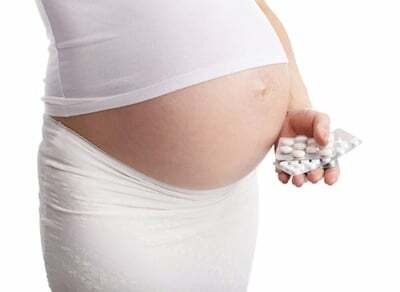 This drug has not been adequately tested in the human population and should not be used by pregnant women unless there are no other medications available for treatment. The patient should be warned of the possible birth defects before being given the medication. Safe During Breastfeeding: Theophylline passes from the mother to infant in breast milk. The drug is found in strong concentrations in breast milk and may cause infant irritability. Mild toxicity may occur, so breastfeeding while taking theophylline is not suggested. It is estimated that an infant consumes up to 20 mg of theophylline per liter of breast milk.